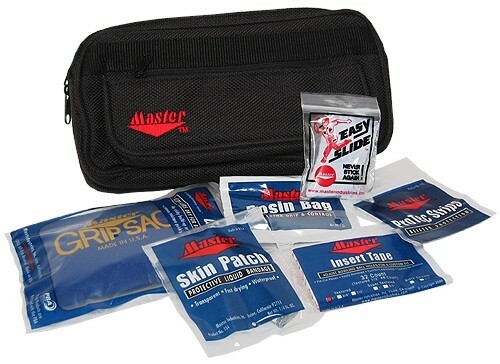 Master Bowling Accessory Kit is an accessory kit for league bowlers and is a must have! The dimensions for the Master Bowling Accessory Kit are: 11" x 5.5" x 2"
You can always have a local embroider to put your logo on there. Unfortunately, the accessory bag will come as it appears online. Unfortunately, it does not come with a tape insert tool. Due to the time it takes to produce the Master Bowling Accessory Kit ball it will ship in immediately. We cannot ship this ball outside the United States.